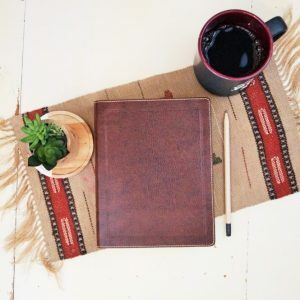 Looking for a leather like journaling Bible? 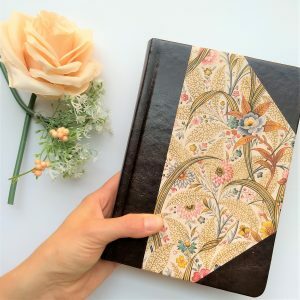 This soft cover journaling Bible has beautiful leaves embossed in the faux leather to inspire your Bible journaling time. Would you like this personalized? If personalizing, which font style would you like? 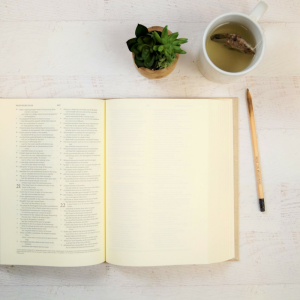 Bible journaling can be an intimate time where you share your heart with the Lord, why not find an ESV journaling Bible that will last a life time? 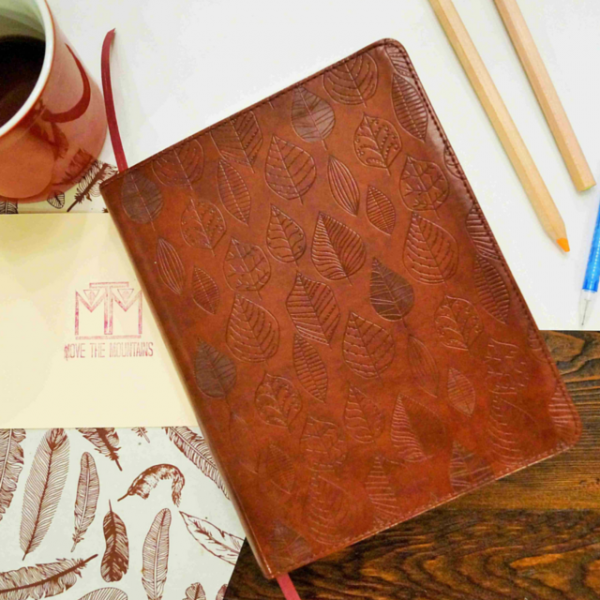 This faux leather journaling Bible features beautiful leaves embossed into the leather, which is a reddish-brown color, and is soft and flexible. 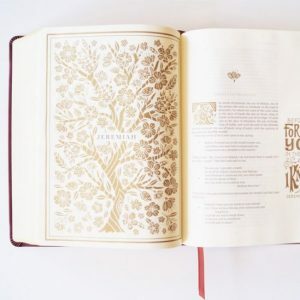 It is a single column journaling Bible, featuring wide margins for journaling, and can be personalized with a name, for an extra special touch. Not sure what the ESV is or what 2 inch margins look like? 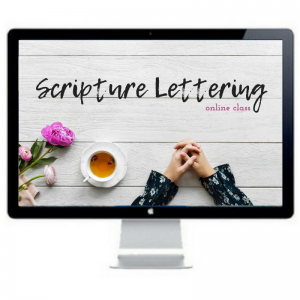 Click here to see our helpful Journaling Bible Terms PDF! 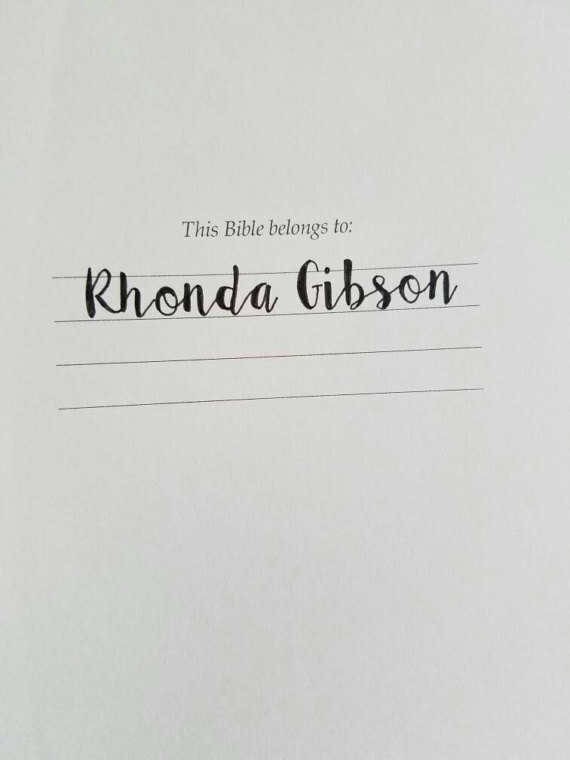 If you would like it personalized, this journaling Bible will be expertly hand lettered in by Amanda from Move the Mountains, not by a machine. It will appear under the “This Bible Belongs to:” message. Not on the cover of the Bible. 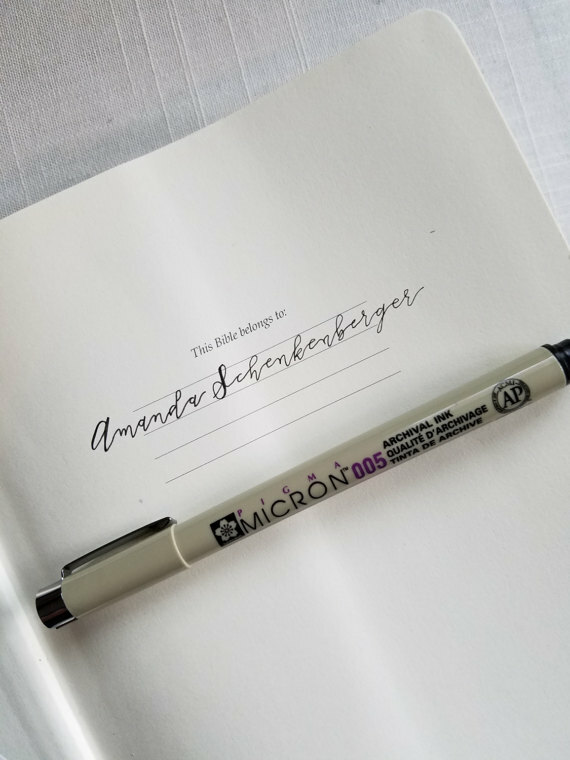 A Micron pen will be used to write the name you request, which is archival ink (waterproof and fade resistant). 1. This is for one name only. 2. You will not be able to return your Bible for a refund for any reason. 3. If you would like to add a date, verse, or a full note, please contact me. Price quotes will vary based on what you would like. If you are looking for a journaling Bible with thick pages, please click here to see Interleaved journaling Bible. If you would like to see your name previewed in any of these fonts, feel free to send me an email through our “Contact” page. Please send the full name and the requested font. Oh no, I am so sorry, Colleen! Those sweet doggies can be such troublemakers!